TELL US WHAT YOU THINK! CLICK HERE TO SEND US YOUR COMMENTS. Our sales to the public are through our distributors around the world but we can help you to determine the best instrument to fit your needs. We are determined to give you the best support for your R.C. Allen instruments as possible. Please feel free to contact us with your questions and comments. Our main factory is located in the heart of Wichita, Kansas, the Air Capital of the World. We have a full-sized machine shop that makes almost all of the parts that go into our instruments. This gives us full control over the quality of our products. 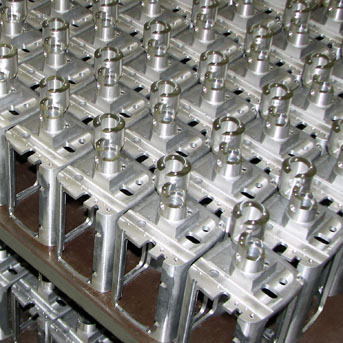 Our Grenola, Kansas facility mirrors our Wichita capabilities but also has our metal die-casting department. The rugged cast frames for our instruments are made with great precision to provide greater accuracy and durability. all of the warranty repairs and service on R.C. Allen instruments.